Yesterday was Mother’s Day here in Canada, and I spent the morning lazing in bed immersed in Pinterest. 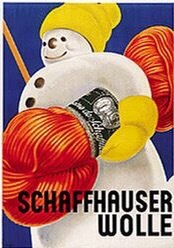 I love to find vintage magazine covers and advertisements for knitting and yarn; and yesterday, I decided that I wanted to learn more about the beautiful advertising artwork published by Schaffhauser Wolle between the 1930s and the 1950s. The artwork is so beautiful, colourful and creative and I was curious about both the company and the artists behind it. 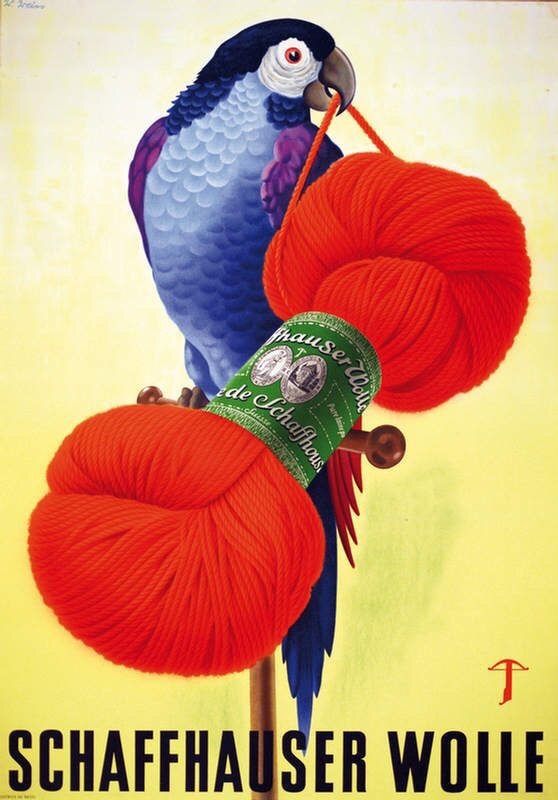 As I searched for information on the artists, I discovered the website of the Swedish Poster Museum, which has many of the Schaffhauser Wolle posters and also the artist and year of publication. I did search the internet to see if I could learn more about the artists and unfortunately, was not able to find out too much other than most of them were prolific poster artists at the time. Please note that all images below are from the Swedish Poster Museum website. 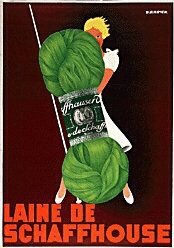 Despite the legacy that Schaffhauser Wolle (Laine de Schaffhouse) has left behind in the form of eye-catching and beautiful poster art, I was not able to find much information on the history of the company itself. 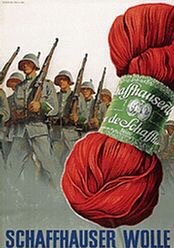 All I could find is that Schaffhauser Wolle was located in the town of Schaffhausen, Switzerland and it was a 19th-century textile manufacturing company. 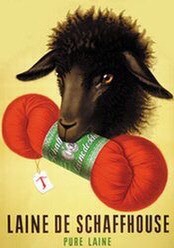 I am so curious to know what prompted this yarn company to produce such memorable artwork for their advertising campaigns – I think that one day I’ll have to visit Schaffhausen, Switzerland and see what I can learn! 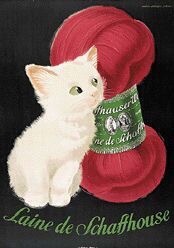 Are you interested in vintage knitting posters? 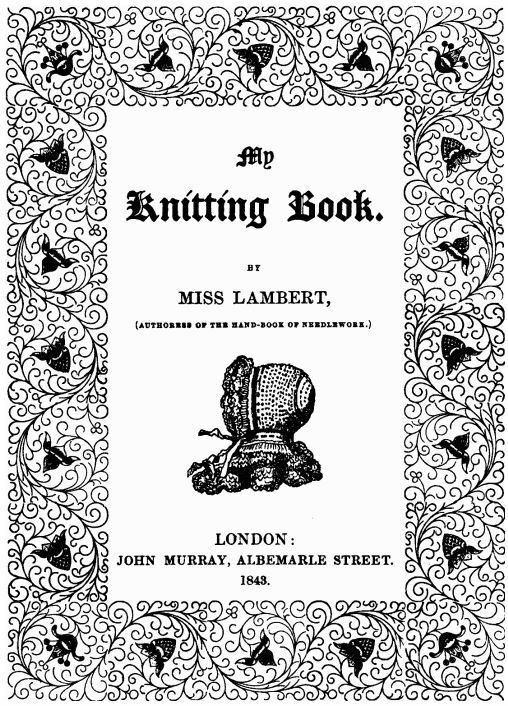 Do you know anyone who might enjoy this blog? Please feel free to share this blog post using the buttons below.